For the Fourth of July, Geni.com has created an Independence Day info-graphic showing, among other things, patriotic place names in the United States. Towns by the name of Liberty, Freedom, Independence, Eagle, and America dot our country. One they overlooked, though, was Freedom, Ohio. 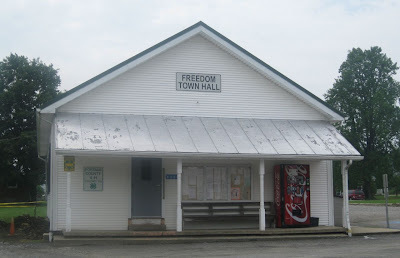 Now Freedom, which is part of Freedom Township in Portage County, Ohio, never was and never will be a bustling metropolis. But it has a proud history. Four generations of my husband’s family lived and are buried there. 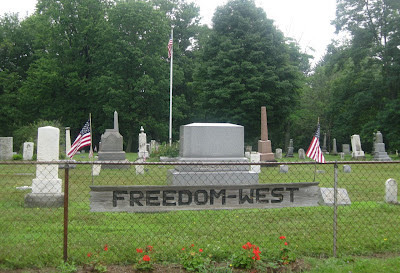 As part of the Connecticut Western Reserve, the tiny town of Freedom was modeled after a New England town and settled, at least in the beginning, by New Englanders. 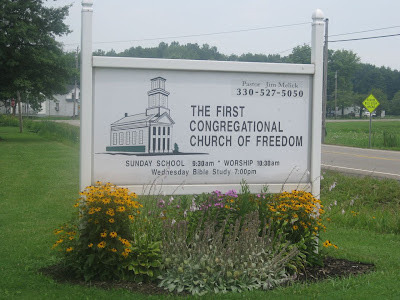 My husband’s great-great-great-great-grandfather, Eli Barnum, and his wife, Jerusha Hart Barnum, were early members of the Congregational church in Freedom. 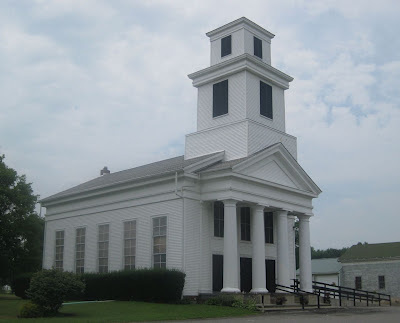 They were recommended to the frontier church by a letter written on July 10, 1837, by Sheffield Congregational Church in Berkshire County, Massachusetts. (1) The First Congregational Church of Freedom continues to serve the community today. I don’t know if Eli left any sundry debts behind in Sheffield, but I do know he bought and cleared land in Freedom Township, some of which he then sold to his son-in-law, Fitch Bishop. Fitch’s children were born on the family’s farm, and some of his grandchildren were born in Freedom as well. The land today looks little changed from what it probably looked like then. Freedom, Ohio, may be just a tiny town, little more than a crossroads in the Midwest countryside. But our ancestors left everything they knew behind to settle in small towns like these all over America. In time, those new towns became home. And after all, what could be more American than Freedom on the Fourth of July? (1) “Congregational Church records, Sheffield, Massachusetts, 1791-1890” (typescript: Pittsfield, Massachusetts, 1901), p. 86, recommendation of Eli Barnum to church in Freedom, Ohio (10 July 1837); FHL microfilm 234572, item 2. (2) Robert C. Brown and J. E. Norris, History of Portage County, Ohio (Chicago, Illinois: Warner, Beers & Co., 1885), p. 453. 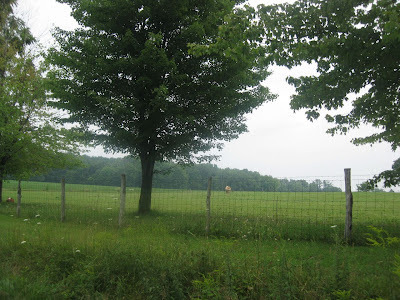 Great post and interesting information about Freedom, Ohio. Thanks for sharing. It's always great to see your hometown featured like this. It gives you pride and dignity. Thanks for the share.